The new Jeep Renegade is the fun-sized ride you've been waiting for. The new Jeep Renegade is the fun-sized ride you’ve been waiting for. Head out on an urban adventure in the new Jeep Renegade, the subcompact crossover designed with city-living in mind. 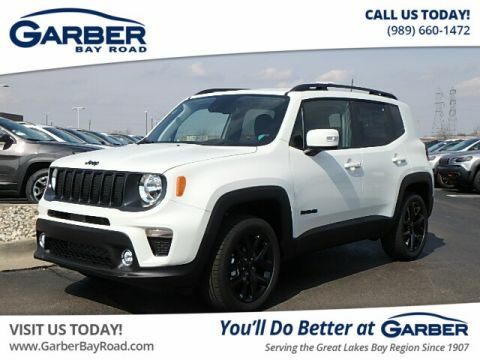 Boasting instant curb appeal with its signature x-shaped taillamps, iconic seven-slot grille, and classic Jeep brand styling, the Renegade demands your undivided attention. 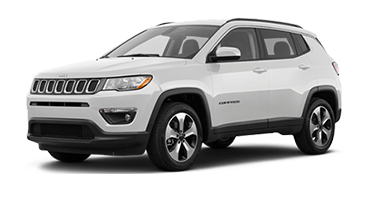 Inside, you’ll discover a cabin full of modern comforts, including heated front seats, premium materials, and astonishing cargo space. Whether you’re commuting to work in Midland, heading to class at Saginaw Valley State University, or meeting friends in Bay City, you’ll arrive in the pinnacle of style. The new Jeep Renegade maybe a fun-loving ride, but that doesn’t stop it from being fuel-efficient as well. Opt for the 1.4L Turbo Engine and you’ll achieve an extraordinary 31 MPG on the highway, ensuring you spend less time at the pump and more time dominating the roads. You don’t have to just take our word for it though. 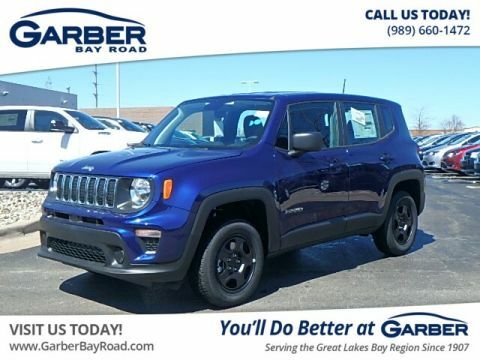 Stop in to Garber Chrysler Dodge Jeep RAM in Saginaw today to take the new Jeep Renegade for a test drive. 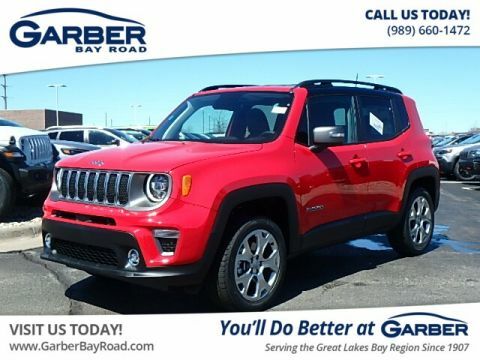 The fun is just getting started in the new Jeep Renegade, the subcompact crossover designed for urban-living. Offering ten fun colors, HID headlamps, and the iconic seven-slot grille, the new Renegade demands attention wherever it goes. 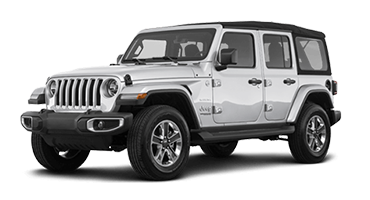 The new Jeep Renegade takes the classic Jeep brand styling you love and puts a modern spin on it. 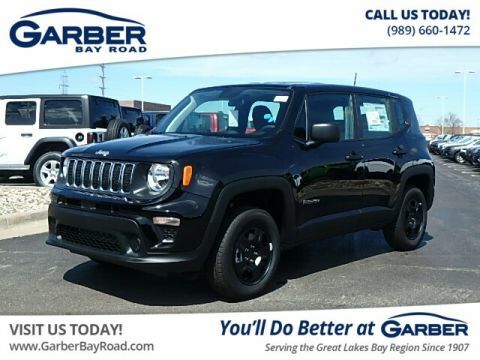 Featuring the classic seven-slot grille, signature x-shaped taillamps, and an available wraparound black roof, the Renegade has instant curb appeal, sure to grab more than a few stares. Choose from ten fun colors so your Renegade can match your unique style. With options such as the Hypergreen Clear-Coat, Omaha Orange, or Solar Yellow, you’ll have a crossover that you’ll love seeing and being seen in. Opt for the available High-Intensity Discharge (HID) headlamps in the new Jeep Renegade and you’ll enjoy a cool white light, which is three times brighter than traditional halogen bulbs, to illuminate even the darkest of roadways. Brighten up your drive, with one of the new Renegade’s power sunroofs. Choose the My Sky® Removable Panel Sunroof for a completely open-air experience; or, opt for the CommandView® Dual-Pane Panoramnic Sunroof, which features a power sliding glass front panel, as well as a fixed glass rear panel and power sunshade. Cold weather is no match against the new Jeep Renegade, which features heated exterior mirrors to chase away snow, ice, and fog. Further improving your visibility is the available windshield wiper de-icer, which keeps the wipers clean from ice build-up and ensures a safer ride. Whether you’re dominating the city streets or adventuring off-road, the new Jeep Renegade ensures comfort and versatility follow you. 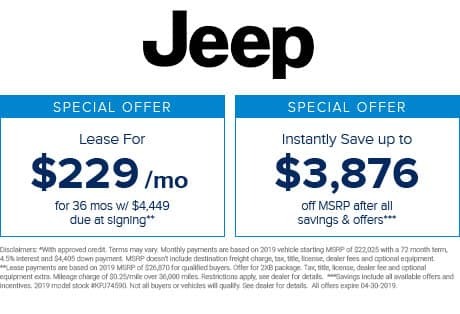 Offering up to 50.8 cubic feet of cargo capacity, heated front seats, and premium detailing, this is one ride that you won’t want to get out of. 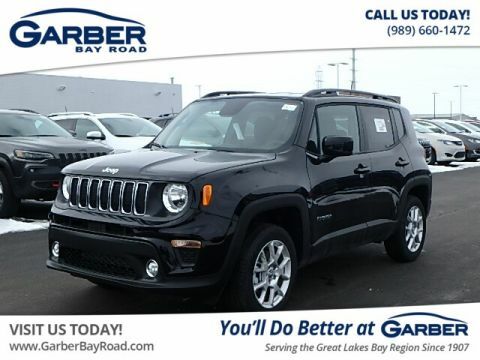 Featuring a choice between 60/40 or 40/20/40 split-folding rear seats, the new Jeep Renegade offers a surprising amount of storage capacity for a crossover of its size, up to 50.8 cubic feet when all passenger seats are folded down. That’s more than enough space for camping gear or your latest shopping haul. In case the 50.8 cubic feet of cargo space wasn’t enough, the new Jeep Renegade also features an available height-adjustable rear cargo floor, which you can easily move up or down to make room for taller objects. 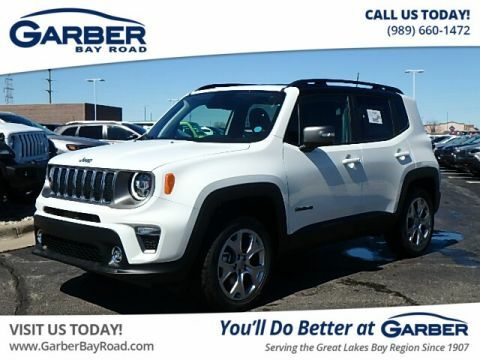 Modern luxury and style are apparent everywhere you look in the new Jeep Renegade. 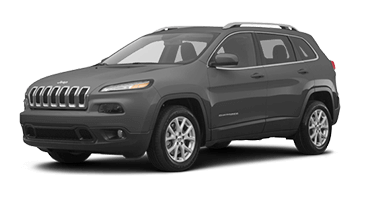 Offering premium heated front seats, chrome accenting, and a smart dashboard layout, you’ll be the go-to driver anytime you and your friends go out. End arguments over cabin temperature with the available Dual-Zone Automatic Temperature Control. You and your passenger can set individual temperatures for your areas, so everyone can ride happy. The new Jeep Renegade features a completely redesigned center console and cargo net to keep smaller items within easy reach. It’s just a few of the ways that the Renegade was designed with optimizing space in mind. Talk. Listen. Explore. 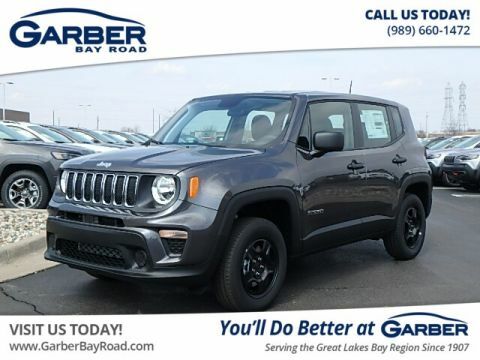 With the Jeep Renegade, the connection never ends. 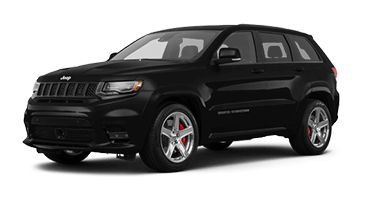 Featuring innovative technology such as Uconnect® Multimedia, BeatsAudio™ Premium Sound, and SiriusXM® Satellite Radio, the Renegade is the ultimate driving companion. Keep your favorite apps close at hand with the new Jeep Renegade’s Uconnect Multimedia system. Sync up your compatible device via Apple CarPlay® or Android Auto® and stream your favorite music right from the 8.4” touchscreen. 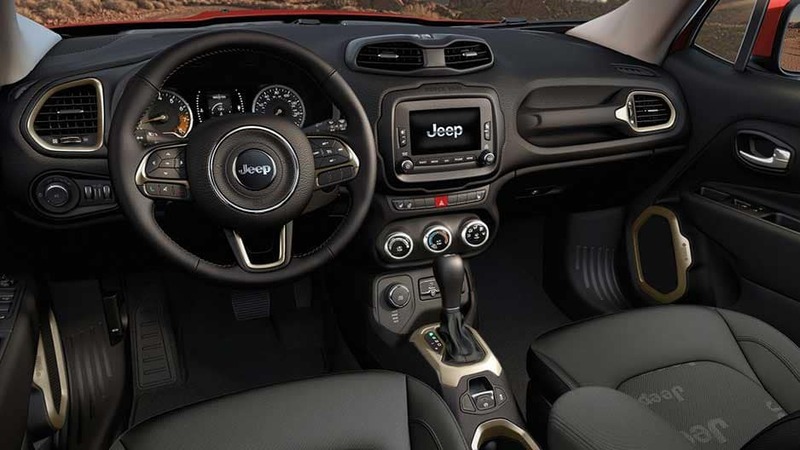 Opt for the available Navigation in the new Jeep Renegade, and never worry about getting lost again. Navigation features One-Step Voice Destination Entry, as well as 3D landmarks, city models, and terrains. Whether you’re cruising along the backroads or dominating city streets, keep yourself entertained with a free 1-year subscription to SiriusXM Satellite Radio’s All-Access Package. 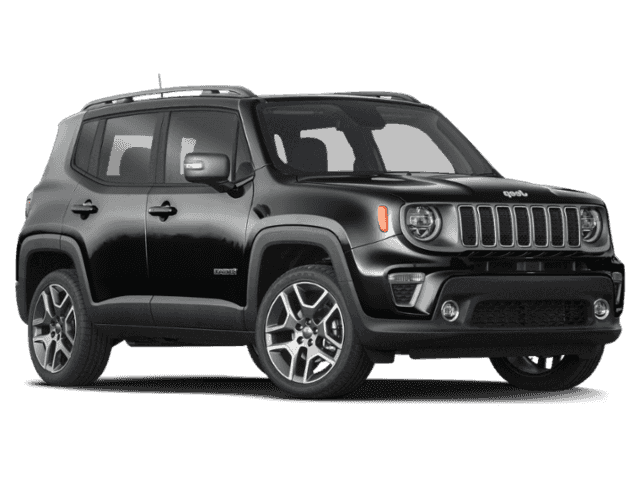 Enjoy over 150 channels of commercial-free music, sport, talk, and so much more with the new Jeep Renegade. Keep important information front and center with the available 7” full-color Driver Information Digital Cluster Display. Use the steering wheel-mounted controls to scroll through Navigation, a digital speedometer, Traction Management Systems, and so much more. The available 9-Speaker BeatsAudio Premium Sound system is sure to please any audiophile, offering crisp, studio-quality sound that surrounds you from every angle in the new Jeep Renegade. 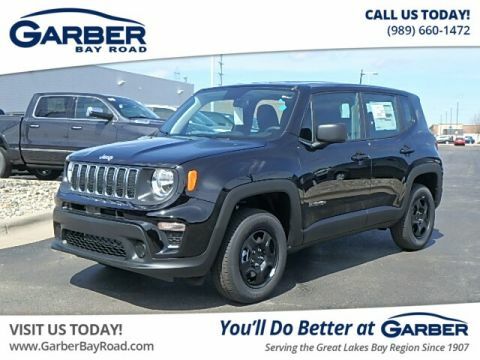 Featuring over 70 available safety and security features, the new Jeep Renegade is ready for just about anything. 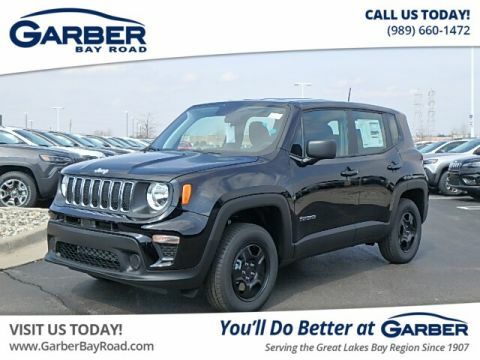 While you should always be alert anytime you get behind the wheel, the Jeep Renegade offers features that up your safety awareness game, including Forward Collison Warning, Rear Park Assist, and Blind Spot Monitoring. 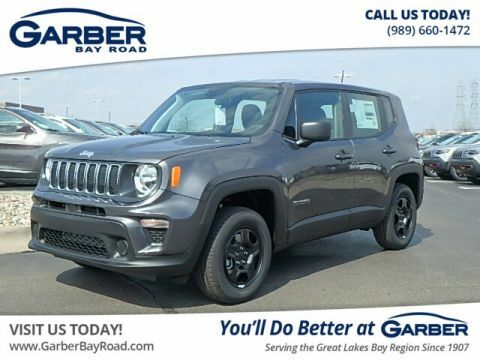 The new Jeep Renegade surrounds you in safety, with seven standard airbags strategically placed throughout the interior cabin to keep you and your passengers protected. The front is equipped with advanced multistage airbags, which inflate relative to impact to prevent accidental injuries. 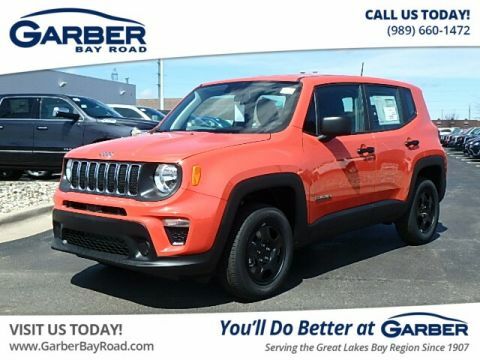 Utilizing radar and video sensors, the new Jeep Renegade can detect when you’re approaching another vehicle too quickly, and will alert you with audible as well as visual warnings. 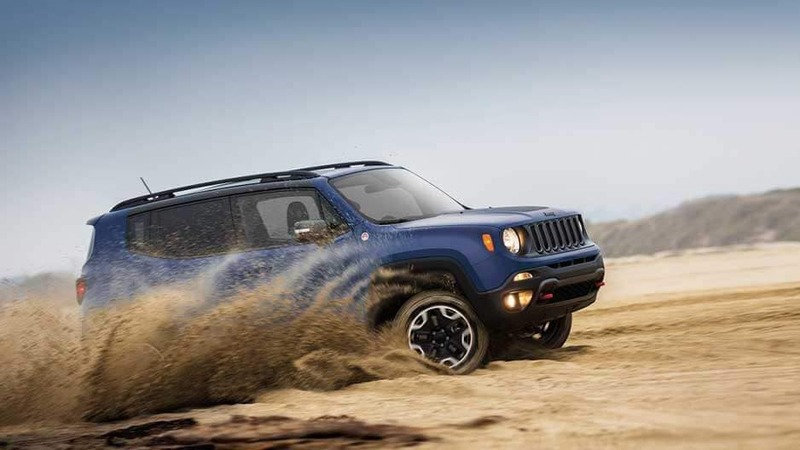 Add in available active braking and your Renegade will begin applying brake force to lessen potential damage. Reverse out of any driveway or parking spot with confidence, thanks to the ParkView® Rear Back-Up Camera. While reversing, the Uconnect touchscreen will display an active feed of the area directly behind the Renegade, completely with dynamic guiding lines to ensure you don’t accidentally bump into anything. Up your reversing game even more with the available ParkSense® Rear Park Assist system, which uses sonar technology to detect stationary objects behind you when backing up at low speeds. If it detects a collision is imminent, the system warns you with both audible and visual alerts. The new Jeep Renegade keeps an extra eye on your blind spots courtesy of the Blind Spot Monitoring system. 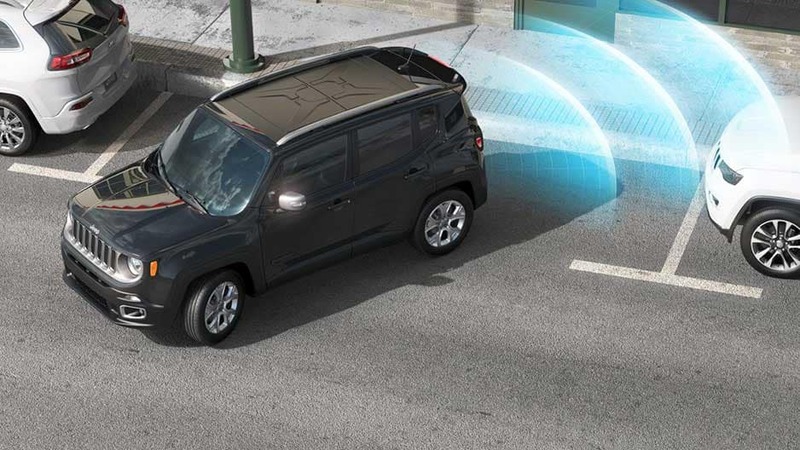 Using dual wideband radar sensors, the Renegade actively monitors your blind zones and warns you when there’s a vehicle approaching, so you can switch lanes safely. Who said a Jeep couldn’t be fun as well as efficient? 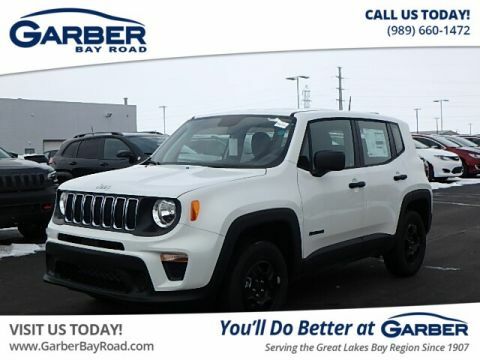 With the new Jeep Renegade, you’ll achieve up to 31 MPG on the highway with the powerful 1.4L Turbo Engine, while the available Selec-Terrain® Traction Control System ensures the Renegade can handle any rough road condition. Get ready to have some fun. Tackle even the roughest road conditions in the new Jeep Renegade, which features an available Selec-Terrain Traction Control System. 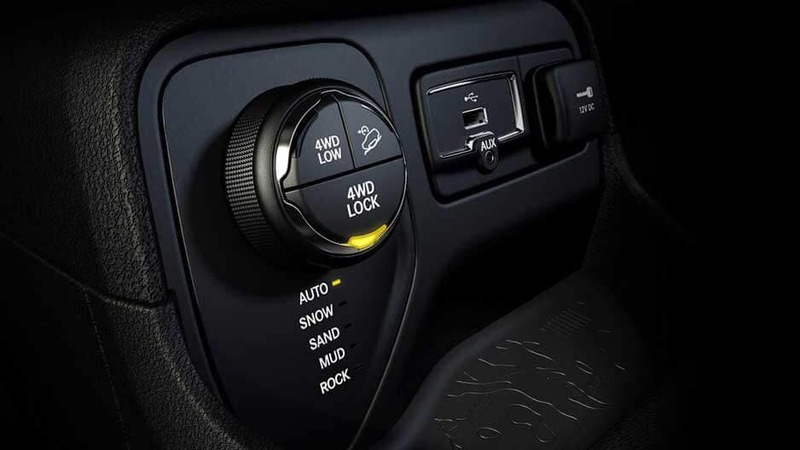 This system allows you to easily tune your traction settings to optimize driving quality across most road conditions, including snow, sand, and mud. 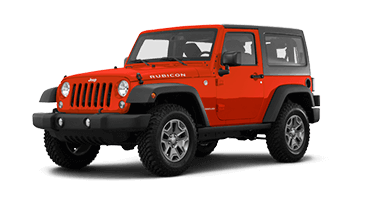 The new Jeep Active Drive and Active Drive Low 4×4 systems allow you to switch seamlessly between two- and four-wheel drives, so you can optimize fuel efficiency when all-wheel drive isn’t necessary. 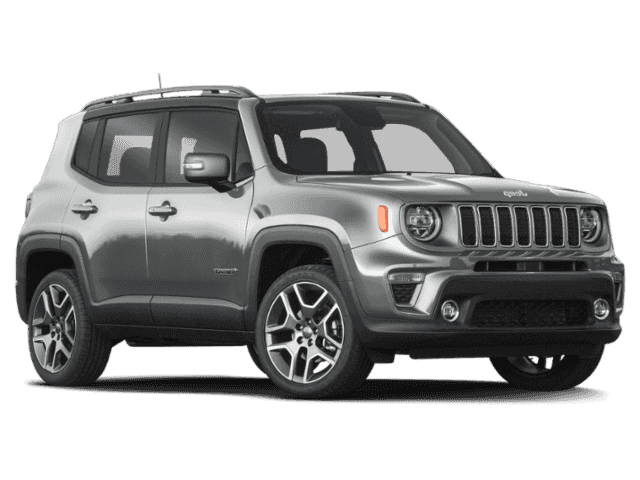 Available with 4×4 models, the Jeep Renegade’s 2.4L Tigershark® MultiAir 2 Engine features impressive power at 180 horsepower and 175 lbs. of torque, so you can make the road yours. 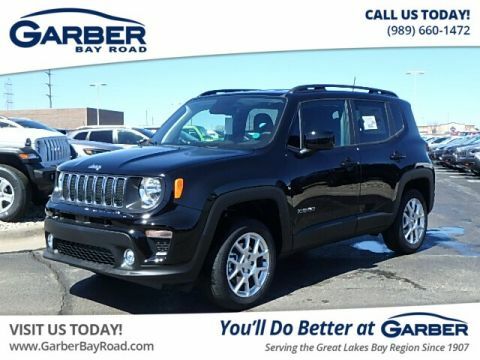 Enjoy astonishing fuel economy in the new Jeep Renegade with the 1.4L MultiAir Turbo Engine. Offering up to 31 MPG on the highway, you’ll be spending less time at the pump and more time doing the things you want. 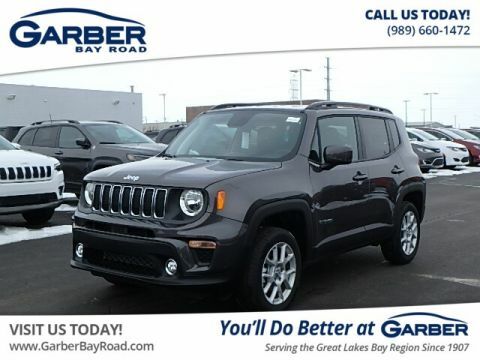 Opt for the available 9-speed Automatic Transmission in the new Jeep Renegade and enjoy enhanced performance, including superior launch characteristics, astonishing efficiency, and nearly unnoticeable shifts between gears. for Vehicle Comfort & Quality. 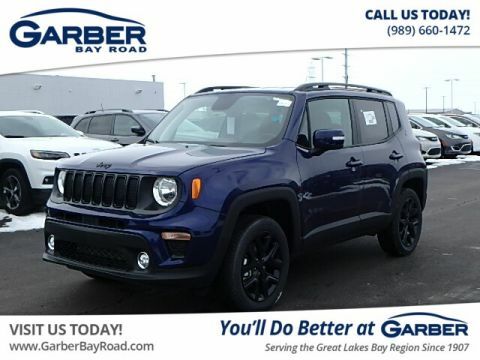 Get carried away in the new Jeep Renegade, the adventurous subcompact SUV designed with fun in mind. Featuring the Uconnect® Multimedia touchscreen as well as BeatsAudio™ Premium sound, you can sync up your mobile device and surround yourself in your favorite tunes. Or feel free to explore, with available Navigation to help you find your way home. 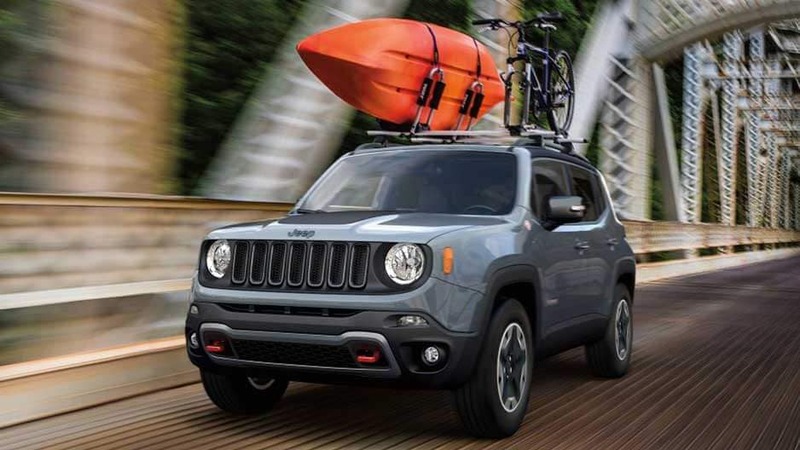 The new Jeep Renegade offers the space you need to bring everything along for the ride. 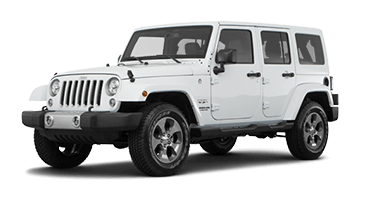 Drop down the front passenger and split-fold rear seat to unlock an impressive 50.8 cubic feet of cargo capacity. And if something is just a smidge too tall, you can adjust the height of the cargo floor, providing you with even more storage space. 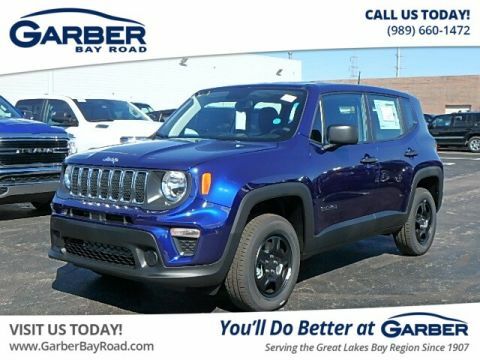 Experience the innovation for yourself today, with a test drive of the new Jeep Renegade at Garber Chrysler Dodge Jeep RAM in Saginaw.